It’s with great caution that I approach the complex realities in Israel-Palestine. The bloodshed started long before I was paying attention (or alive) and I still haven’t caught up to all the twists and turns. But I do have one little thing to say. I won’t say anything about the justifiable fear of Israel that their Arab neighbors, Palestine included, will begin another effort to wipe the tiny nation off the map at any time. I also won’t say anything about the destructive land grab and apartheid that Israel has inflicted upon their Palestinian neighbor. I’m certain that as soon as I spoke to those issues that someone more informed than me would give me another fact, another turn of events, that I knew nothing about that would only complicate the matter more. That has been my experience every time I’ve entered this conversation on social media or in real “polite” conversation. So let me begin by admitting that I don’t know all the sordid details of this conflict. Rather I will separate one particular aspect of this conflict that can genuinely be discussed apart from the others: Hamas’s use of civilian “shields” and Israel’s insistence that this justifies their bombing civilian targets. As a prerequisite to this discussion, two distinctions need to be made. First of all, there is a long tradition of “just war” with a set of ethical criteria before, during, and after war that is distinct from the legal requirements associated with international conventions associated with war. So for instance, the Fourth Geneva Convention of 1949 doesn’t allow you to harm or kill “protected persons” such as non-combatants or combatants that are not currently engaged in war making (hospitalized soldiers, for instance). These are the legal requirements that must not be broken or persons will spend time in prison for them. But just war criteria goes a step further to ask what is ethical in the conduct of war. War is never a good thing, but just war doctrine insists that way may sometimes be required for justice to be done. The difference between the Geneva Conventions and just war theory are like the difference between hiding money from your boss and hiding money from your wife. The first will send you to jail. The second isn’t illegal but it is still wrong. The second distinction is between two different elements of just war theory: jus ad bellum criteria are those that determine when a nation can rightfully go to war and jus in bello determines right conduct once a war is underway. The conditions in Israel-Palestine are such that a conversation about right to go to war seems superfluous. That train left the station long ago. But I think that we can call upon leaders of both nations to pay closer attention to jus in bello criteria. The one that is most important for our discussion of Hamas’s use of civilian shields and Israel’s insistence that their bombing is justified is the criteria known as discrimination. Whether one’s enemy is a group of guerrilla fighters, terrorists, or an established nation, discrimination requires a distinction between combatant and non-combatant. And it requires that non-combatant on both sides be treated as human lives that must be preserved for the sake of justice. A non-combatant is never a justified target either by just war criteria or by Geneva Convention. It is legal under Geneva Convention to attack a military target and cause civilian deaths, as long as civilian deaths are an unintended consequence. But under just war doctrine, the standard is much higher. Typically, an attack on a civilian target is only justified when the loss of non-combatant life is (1.) unintended and incidental and (2.) likely to be lesser than the consequences of not attacking the target in those circumstances. Put another way, just war requires that non-combatant death is only justified when the costs of not killing those persons is higher than those that would likely die as consequence of the attack. In fact, Daniel Bell, theological ethicist from Lutheran Theological Southern Seminary, argues that there are actually two different criteria on this matter. What I have described above is what Bell calls “Just War as Public Policy,” the secular adoption of just war principle by nation states. But he would suggest that “Just War as Christian Discipleship” has an even higher standard. A Christian just warrior can only attack in this kind of situation by using a weapon of sufficient discrimination as to not cause non-combatant deaths. That is, if bombing a military target will cause non-combatant death, then ground forces must be used. If a hand grenade or machine gun would do so, then maybe a sniper will be required to maintain non-combatant discrimination. Now that we have the criteria in view, what might we say about the well-documented use of “human shields” by Hamas, and Israel’s subsequent bombing? First of all, as many pro-Israeli commentators have suggested, Hamas already breaks the principle of discrimination by using schools, hospitals, and other civilian targets as military outposts. The indiscriminate rocket fire of Hamas is unjust. The use of “human shields” is similarly unjust because this practice also violates the discrimination principle by intentionally involving those non-combatants in the conflict. Some people have pointed out that the population density of the Gaza strip is roughly that of the city of Boston (~13,000/sq. mi.). It’s not as if there are a lot of places from which to conduct military operations that would not be near civilians. It still seems clear that Hamas has intentionally utilized schools, hospitals, and other civilian population centers that will evoke a highly emotional response when attacked. The actions of Hamas, both in indiscriminate rocket fire and in the use of “human shields,” is wrong, unjust, and condemnable. However, Israel and pro-Israeli pundits have wrongly argued that this justifies Israel bombing these targets. Here is a video of the Israeli ambassador to US arguing this way. Click here for an article in the New York Review of Books that chronicles Israel’s attempt to justify this argument. As stated above, according to some public policy standards for just war, bombing these targets may be permissible under certain circumstances. But they are only permissible in those circumstances when the consequences of not attacking are higher than those of attacking. For instance, if Hamas is indiscriminately firing rockets off the roof of a hospital you can’t bomb (especially if you have a very good air defense system such as Israel does). If they are firing Patriot missiles from the parking lot then you probably can. During Operation Iraqi Freedom, Iraqi insurgents also fired from civilian targets. But the US did NOT bomb them because it isn’t just. It’s a crappy reality of this kind of warfare but one that you don’t get to ignore and still be the good guys. At least twice during the most recent conflict, Israel has bombed UN schools that were being used to shelter displaced non-combatants. Even if these sites were being used by Hamas as a base for military operations, it does not justify bombing them. To justify doing so under the secular version of just war doctrine, the military target at that location would had to have been of a VERY HIGH order. High non-combatant casualties were foreseeable and likely. I would even go so far as to suggest that no weapon that could be contained within a civilian building such as that school could possibly be significant enough to justify bombing a building full of non-combatants. Even if Israel has believed that this ethical requirement has been met in some cases, it is impossible to justify the frequency with which Israel has bombed these targets. While there is much more to say about this conflict, I hope that I have said one thing about one aspect and that I have said it clearly. Discrimination between combatant and non-combatant is required if you want to act ethically. Hamas has violated the principle by intentionally using civilians as shields. But Israel has also violated that principle by carrying out attacks upon those non-combatants. Two wrongs doesn’t make a right. What Does a Just War Mean? When they have killed all the Christians in the Middle East and destroyed Israel, do you think that will make them want peace…. or do you think they will be emboldened to come for you? If they hate Israel more then their own lives and families, their hate will drive them to keep killing…. If Gaza/Hamas wants peace, they have peace… they do not desire peace. Self defense is the character of Israel’s war if I see this cotrectly. I appreciate and echo andrea411’s comment. Gaza belonged to Israel and was delivered over to Mr. Arafat’s army in exchange for Mr. Arafat’s solemn pledge to stop bombing Israel. The bombing only stops when the supply of Iranian rockets runs dry. In other words, the war continues in spite of peace treaty after peace treaty. One must, eventually, put up a defense. What is Israel’s alternative to this current operation, wait & see if Hamas ends it on their own? Is there a third way? I think there is a third and more just way, Richard. If Hamas will not stop firing, then it seems to me that Israel must conduct a highly discriminating offensive on Hamas. That would likely mean ground troops doing most of the work. Unfortunately, this will cost many lives as well. But these will be military men (and women? I’m not sure if Israel has women in IDF). This will not be civilian lives. And that is what makes it just. The US had to do just this during Operation Iraqi Freedom. I was a Marine during that war, and though I didn’t ship with my unit, I was here when 7 of our Marines were brought home for funerals. Because Iraqi militants were hidden among civilians, the US did the right thing and entered those cities with a very dangerous ground offensive. But that meant that they weren’t bombing areas that were clearly full of non-combatants. Every Israeli citizen is required to spend 2 years in the armed forces. After that, reserves. So in answer to your question, there are women in the IDF. I’m an American with an Israeli husband (who would’ve been called to the military had we been in Israel at this time). I lived there, worked there, and was there through the last conflict (late 2012), and when people ask me my thoughts about what’s going on over there, I’ll be pointing them to this post. People are very quick to pick a side and point fingers and blame shift, but the fact of the matter is it’s not simple, it’s never been simple, it will never BE simple. You missed the part that Israel DOESN’T bomb hospitals full of people. They agree with you bombing a hospital full of civilians is wrong. And so they empty the hospital of people – potentially losing the opportunity to take out key terrorist leaders – and then take out the building that is full of stored weapons. In this case there was no evacuation warning and 40 people were injured, 4 killed. I like how your post clearly defines the combatant and non-combatant terms. Lets assume now that Hamas fires from a hospital and Israel refuses to attack due to the loss of civilian life. Hamas then responds by firing from a school, and again Israel refuses to attack. And so on and so on. My question then, and perhaps the question of the generation, how does one fight for the dignity of life against an enemy that does not? Exactly how should Israel respond? Air raids will cause casualties, ground troops will cause casualties. How do you fight an enemy who hides behind women and children? 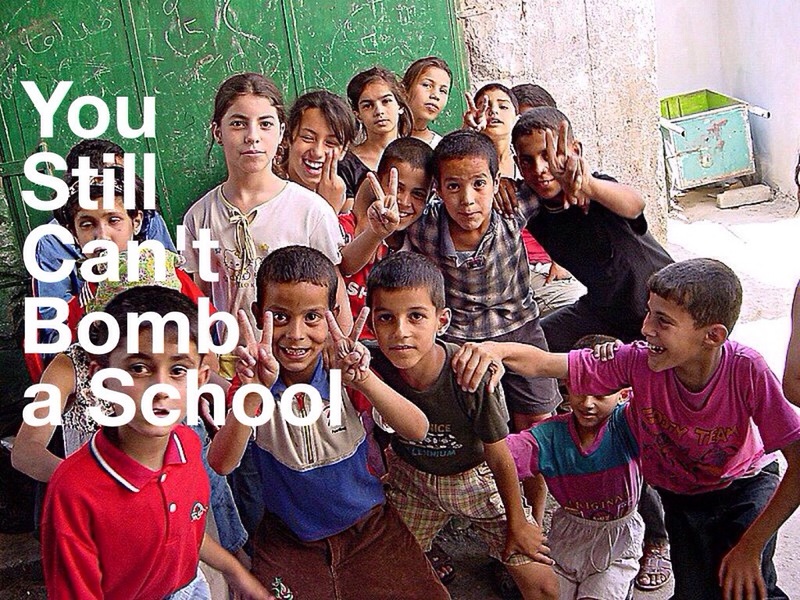 Where are the Hamas rockets that are not in schools, mosques or hospitals…. why does Al Jezeera claim it’s mostly men killed, yet Hamas says its women and children. Yes it is tragic, tragic tragic. There are videos of Hamas beating citizens back into their homes. Videos or rockets coming from hospitals that were warned Israel will bomb them. Hamas wins the media war by allowing its people to be bombed. Yet the other tragedy is Iraqi Christians being slaughtered and no one is talking about it. so terribly sad… Gaza, Ukrania, Iraq and unbelievably, I had not even heard of this genocide tarts been going on for a year… they call themselves Christians, these are not Christians.. The time will come when the living will envy the dead…. I cannot find what you’re referring to in your first link. The link takes you to a page for July 21, 2014 which lists several stories, but none of the headlines end with the word “combatants” (which is the last word of the link you posted). Can you re-post a direct link to what you’re referring to?